Let's just get this right out in the open: you're going to hate this list. You're going to be mad as hell and not going to take it anymore because X place was included, and equally mad as hell and unwilling to take it anymore because X place wasn't. Why? 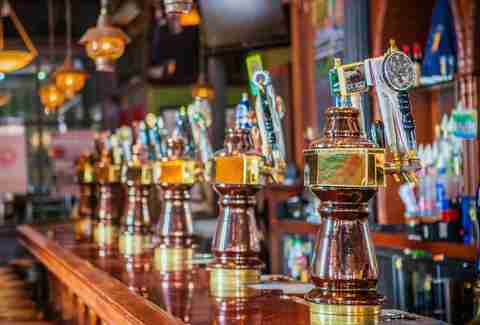 Because there are damn near innumerable worthy beer bars in the state of Michigan to choose from, and whittling a list down to under 30 is nigh-impossible. And that's kind of a fantastic problem to have, don't you think? So let's proceed! If your favorite is missing, shout it out in the comments. Remember that time we named 7 Monks one of the 33 best beer bars in America? 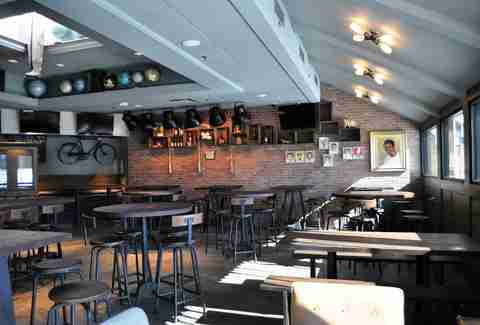 See also DRAFT magazine's "100 Best Beer Bars in America" list for 2014 and 2015. There is a lot of talk about Traverse City as a major craft beer destination, but truth be told, this is still very much wine country -- the beer scene here is still a nascent one, with a LOT of room to grow (and we're pretty confident that it will). There are great breweries like Right Brain, Brewery Ferment, the Filling Station, and the jolliest Jolly Pumpkin that ever there was (the view of West Grand Traverse Bay from the patio is enough to plan your vacation around), but beer bars are still in relatively short supply. Thankfully there's 7 Monks Taproom, which, when it opened back in 2011, filled a need for a multi-tap that still has yet to be replicated in Cherry Country, with 46 handles total that span Michigan favorites and rarities, as well as Belgian and Belgian-American brews. They also serve exceptional gastropub fare and are stepping up TC's cocktail game (also lagging) with the recently-opened Low Bar in the basement next door. Not taking its name lightly, Ale Mary's is a house of beer worship complete with communal seating, which is sort of like being in church, and a shrine to Michael Jackson, world-famous beer writer and one of the most significant players in pushing the craft beer movement forward since the 1970s. 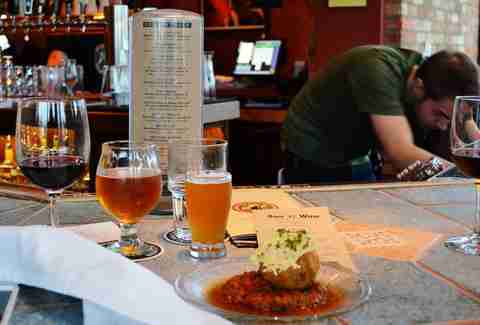 They have 28 beers on tap, another 80 by the bottle, and a menu full of beer-battered and beer-braised things, all of which you will want in your mouth. Remember that time we also named Ashley's one of the 33 best beer bars in America? So yeah, most beerie types are already familiar with Ashley's. 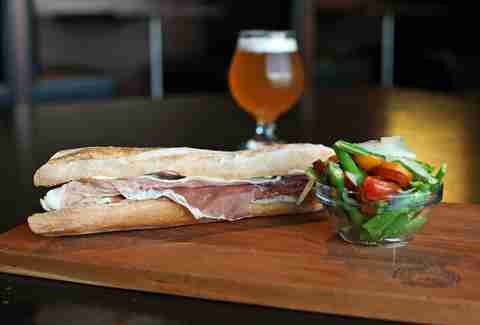 What most people don't seem quite so familiar with is its sister beer bar and restaurant in Westland. Yes, Westland. While the Downtown Ann Arbor location has much more character and the advantage of being in a walkable college town, the more spacious Westland locale is the home of Ashley's annual Belgian Beer Festival, the largest all-Belgian beer festival in the country, featuring 80 Belgian breweries, 70 Belgian taps, and over 200 Belgian beers in bottles. It's not the only feather bowling game in the state, but it is certainly the most well-known. It's important to note that feather bowling is actually a Belgian tradition, which brings us to our point: Cadieux Café is a Belgian bar and restaurant specializing in Belgian foods -- basically buckets of mussels for days -- and Belgian beers. The tap list alone won't knock your knickers off, but peep the bottle list and let your inner Belgian loose. It's also got a popular karaoke night on Wednesdays and is a long-time draw of the Detroit garage sound, with live music from bands that pre-date Jack White as a Stripe. Oh but it IS a BFD, rest assured. One of the best bars in the Metro Detroit suburbs (says we) and, a bit more BFD-ier, one of the best beer bars in the country (says DRAFT), Clubhouse calls itself a "craft beer shrine and juried gallery exhibit of the brewing arts," and there is probably no better or more accurate way to describe it. With 50 taps and another 150+ in bottles and cans, Clubhouse doesn't just aim at hitting a big flashy beer number; it focuses on building and curating a beer portfolio, loading up on labels you cannot find anywhere else. Period. The end. 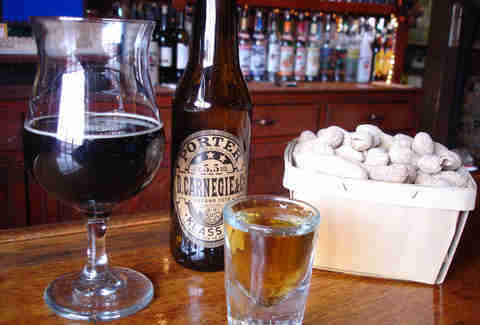 There are beers here that you will not find in any other beer bar in Michigan. HopCat Detroit might have the largest number of handles in the state of Michigan, but bigger isn't always better, you know? Get in your car. Get on I-75. Drive north then west then north again for 10 hours. 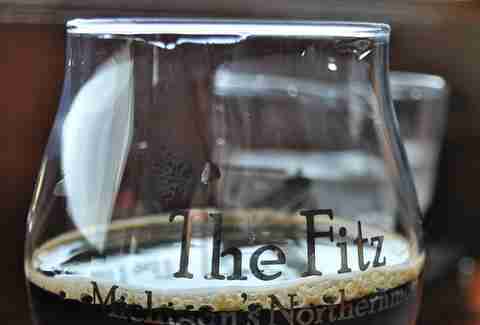 You are now at the Fitz, "Northern Michigan's finest craft beer destination," and that ain't no joke. These guys have access to some of the most highly allocated and highly sought-after beers in the region, and they're all available at your leisure at this craft beer and barbecue oasis located directly on the shore of Lake Superior. Book a room at the attached Eagle River Inn so you don't have to worry about driving anywhere, then plan on hitting that beer bible hard and enjoying snifters of Bourbon County verticals on the patio watching the crashing waves of Lake Superior. This was the first bar in Detroit to shift to (almost) 100% Michigan beers -- there are a few macros still, this being Tiger territory and all -- back when it was still called "Foran's," and thus it was many a Detroiters' first introduction to local craft beer. Drink from the cup that is Michigan craft with a large selection of beers and meads and ciders from Jolly Pumpkin, New Holland, B. Nektar, Virtue Cider, and Short's -- 20 on draft and another 170 by the bottle throughout the year. 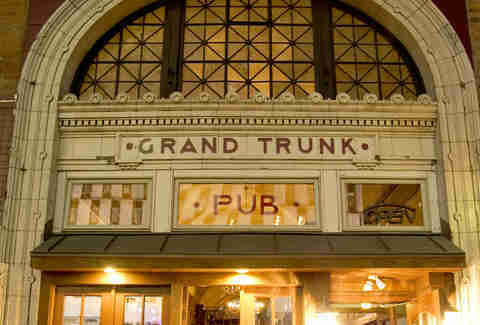 They also host regular beer dinners and one of the best brunches in the city. One of our favorite not-Detroit Michigan bars, it's the stock market of beer, with prices changing based on supply and demand, which is an interesting gimmick for a 28-tap beer bar to have given that at no point in time is any drunk college student paying enough attention to market fluctuation to know how much he or she is paying for whatever beer and therefore will have a real hard time arguing with the server about the tab at the end of the night. Presumably some people are really into this, presumably because it's sort of like gambling, just with your beer money instead of your life savings. But the tap selection makes the math worthwhile. CHALLENGE ACCEPTED. One does not simply open a bar or restaurant in Grand Rapids without having at minimum 20 taps. We're actually pretty sure this is stipulated in every area liquor license. 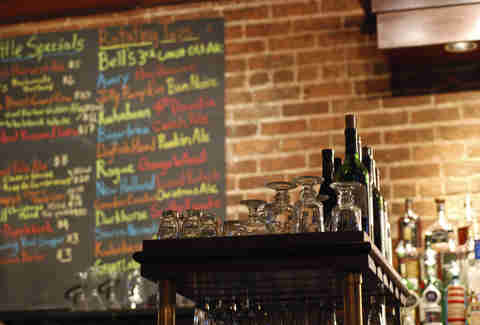 So it's hard to pick a favorite multi-tap beer bar out of the many, many multi-tap beer bars (especially what with HopCat hogging the spotlight), but we're partial to the 23 taps and 200+ bottles at Logan's Alley, a totally chill neighborhood joint that also serves coated tots. Because coated tots. Really the only bar on this list that could fairly be classified as a true dive bar, this little Downrivieria dive also has 40 beers on tap and another 100+/- by the bottle. 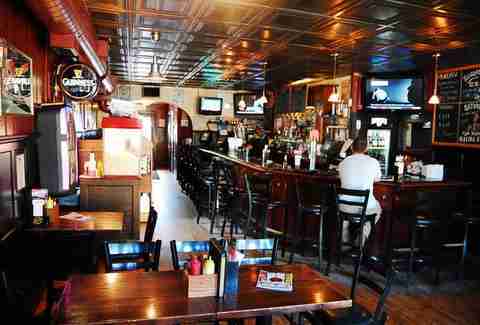 It is by far one of the best bars in the 'burbs and, for both quality of selection and overall ambiance, in the whole state. Its also not too picky about pour sizes (you can get a whole pint of Dragon's Milk, because you are an adult) and is charmingly, stubbornly still cash-only. 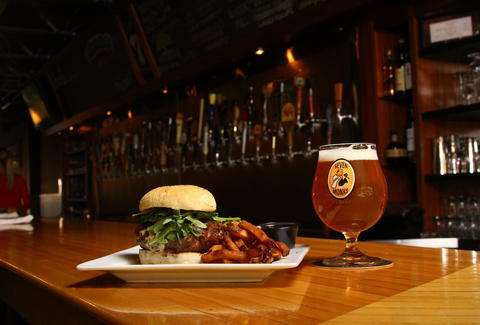 In its original incarnation in Grand Rapids, HopCat has consistently been named one of the best beer bars in the country by DRAFT and Beer Advocate and CraftBeer.com for forever (or at least since those lists started being produced, which was at some point after HopCat opened in 2008). When the owners decided to start replicating HopCats like Starbucks, they made sure to make each one bigger and better. The G-Rap original is no slouch with 48 taps, but then East Lansing came with 100 (and a world record-setting tap takeover with Short's), followed later by Ann Arbor with another 100. 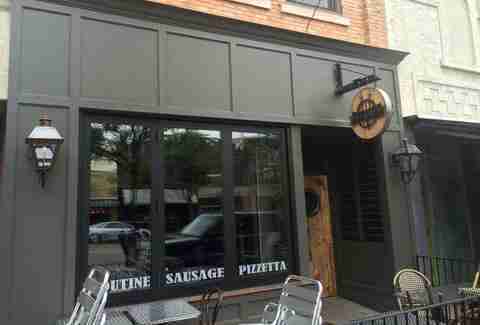 But the record-holder is the Midtown Detroit location. 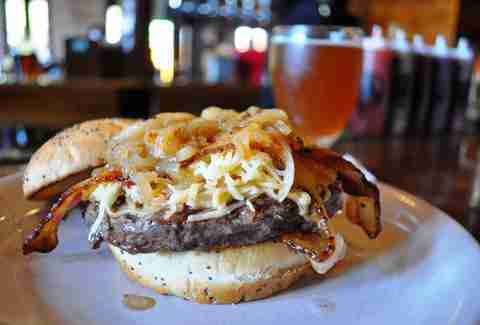 Boasting 130 taps, it has the largest number of taps in the state of Michigan, and has also given Detroiters a whole new understanding of "crack" (fries!). In just a couple of very short years, Metro Detroit went from having only a handful of truly worthwhile "beer bars" to having so many that some of the older ones were displaced in relevance (bye-bye, Berkley Front). Betty's is one of those bigger, better beer bars, with 47 taps (plus one handle for root beer) and another 100+ by the bottle. It also hosts the annual Christmastime FestivALE, held around Thanksgiving, to celebrate the release of special Christmas beers from Michigan breweries like Bell's, Dark Horse, and Short's, as well as Belgian heavy-hitters, and live music from regional folk, Americana bands, and succulent holiday "roast beasts" for grazing. If you haven’t heard of Palate in Milford, that's probably because it's in Milford and you probably figured "why bother." But with 32 beers on draft with an emphasis on Michigan and almost always a white whale or two (like, for example, CBS this past January, the even MORE nerd-alert Founders stout than KBS), plus a pretty great patio out back, THAT's why bother. Slows in Corktown is known for its mac & cheese and also for jump-starting the Detroit food revolution. All of this is secondary to its bangin' beer list, which is one of the best anywhere, much less in Michigan, much much less in Detroit. These are the things that matter. This bar, originally opened in 1915, pre-dates Prohibition, operated as a blind pig, and received liquor license #147 after the repeal (the same license number it still has today). Ye Olde offers a global selection of bottled beers -- 285-ish in total -- many of which you simply will not find elsewhere, plus a ton of Michigan brews because, well, you kind of have to. It's a dive bar, a locals joint, a living piece of history, and a singular Detroit experience. 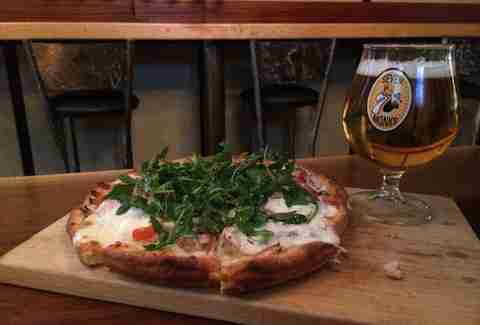 Union Woodshop has made a name for itself as a craft beer destination and is widely recognized as having one of the best tap selections in the state, thanks in no small part to a spot on Diners, Drive-Ins and Dives. Fenton Fire Hall is also a Union Joint, owned by the same folks behind the Woodshop and Vinsetta Garage (another great beer bar), but, with 48 taps of its own, the Fire Hall deserves its praises sung even if it isn't as well-known as its older siblings.